Here’s a little preview of some items that I will be selling at Emerald City Comicon this weekend. You can find me at Table 2617 (or thereabouts) on the ECCC Level 4 Show Floor. The framed image depicting a mantis attack in this snapshot will be on sale in the Krab Jab Studios Art Exhibit “The Gathering” on the TCC Level 3. 13th Age will also be represented on one of the TCC Levels of the Gaming Show Floor. PS. 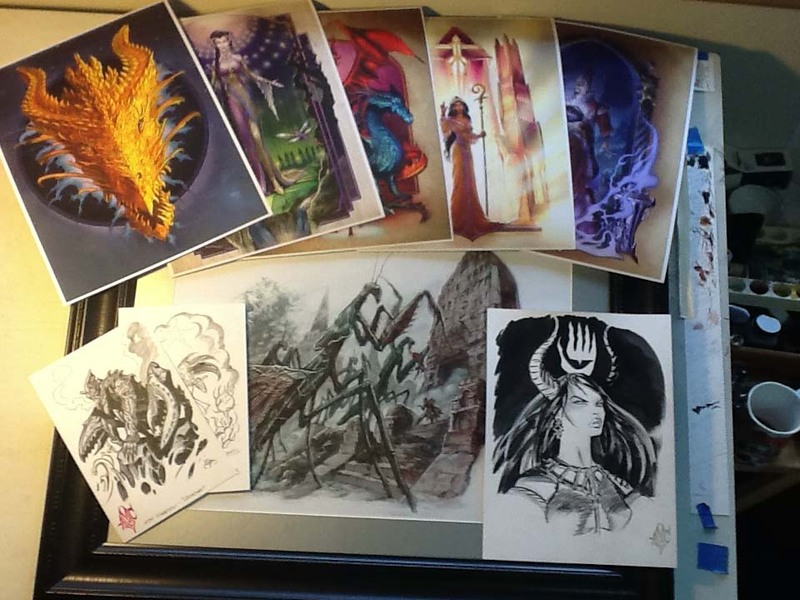 The Diabolist original art in the right hand corner of this image is spoken for, but for the time being you can still request a similar commission.